Hair relaxers change the chemical bonds in curly hair. This causes the hair to become weak and dry. 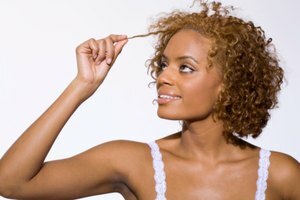 To restore the moisture that was lost, deep conditioning treatments should be a part of your regular hair care routine. It can help prevent damage and reduce breakage from the wear and tear that goes along with styling. There are different types of treatments to choose from, depending on your specific needs. Virgin, unrefined coconut oil is rich in fatty acids, especially lauric acid. In addition to providing antimicrobial properties , these acids nourish the scalp and coat the hair shaft, increasing strength and adding luster. Melt two tablespoons of coconut oil (a solid at room temperature) in the top of a double boiler over low heat. 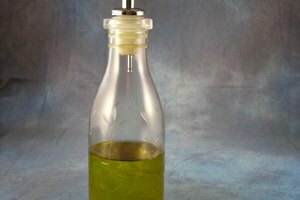 Pour the melted oil into a small bowl and let cool, but not to the point that it hardens again. Massage the oil onto scalp with fingertips, gently pulling through to hair ends. Cover hair with a plastic cap or towel and relax for at least two hours or overnight. Shampoo with a gentle cleanser and style as usual. The humble avocado stores a powerhouse of benefits for our bodies, inside and out. Due to a high fat content and an abundance of nutrients, including the B vitamin biotin, avocados combat dryness and help to prevent hair breakage. To treat your hair to a deeply moisturizing treatment, combine the following in a bowl: the flesh of one-half avocado, one-half teaspoon of extra-virgin olive oil and three drops of lavender essential oil. Massage the mixture onto scalp and pull through to ends. Leave on for at least thirty minutes before rinsing in cool water. Bananas are rich in potassium, natural oils and vitamins that condition hair and protect its elasticity, which helps to prevent split ends and breakage. The addition of rosemary oil in this treatment deters dandruff, while coconut oil and honey offer anti-inflammatory benefits. Aside from all that, this combination of ingredients will leave hair fresh and soft. In a non-metal bowl, combine one mashed banana, one tablespoon of melted coconut oil, one tablespoon of raw, organic honey, three drops of rosemary essential oil and one cup of distilled water. Massage mixture onto scalp and work through the hair to the ends Leave on for 30 minutes, then rinse well with warm water. A protein treatment is an excellent way to replenish the protein lost due to chemical services. 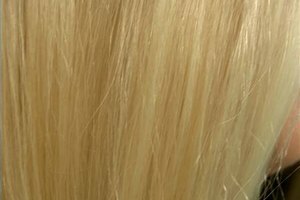 This type of treatment can make hair stronger and less prone to damage. There are various protein treatments you can purchase, but you can easily make one at home. 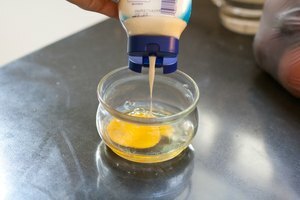 A simple protein-enriched hair treatment consists of two eggs, two cups of full-fat, plain yogurt and one-fourth cup of extra-virgin olive oil. Apply to hair in sections and leave on for 20-30 minutes. Shampoo and condition as usual.